The Validate Engagement API was designed to be used as part of a click-to-call solution to provide a way for brands to validate the trigger that was used to start the call was in fact a LivePerson engagement and not a phishing call. This API requires authorization using API key. Follow these instructions, to create and use an API key. 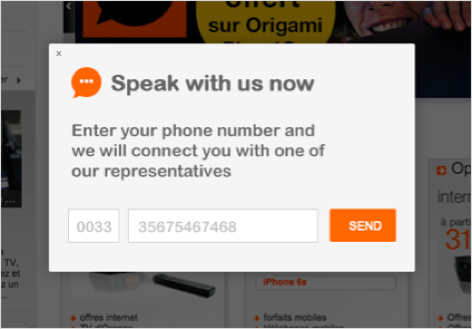 LivePerson’s Click to Call solution provides brands with the ability to present an engagement on their website that offers consumers the option to receive a phone call from the brand’s representatives. The voice call is initiated and managed by the brand and the agents handling the call are external to the LivePerson platform. Please refer to the Click to Call solution document for more information.